We are always looking for a way to stay connected from any location. 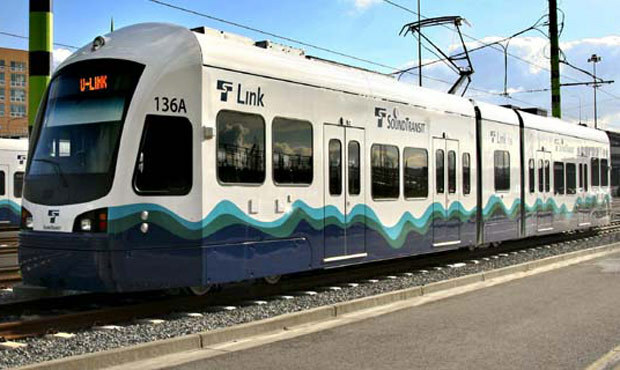 Sound Transit is starting to accomplish this goal in every way when it comes to transportation. Right now, Sound Transit is working on adding more locations around WA; in less than two months, two brand new locations will be open to the public. 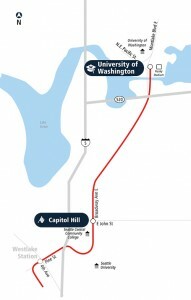 The two new beautifully designed locations are the University of Washington Station and the Capitol Hill Station. 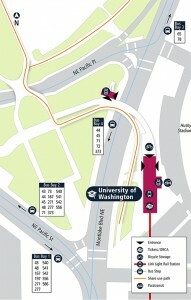 The stations will serve students and business men and women alike. 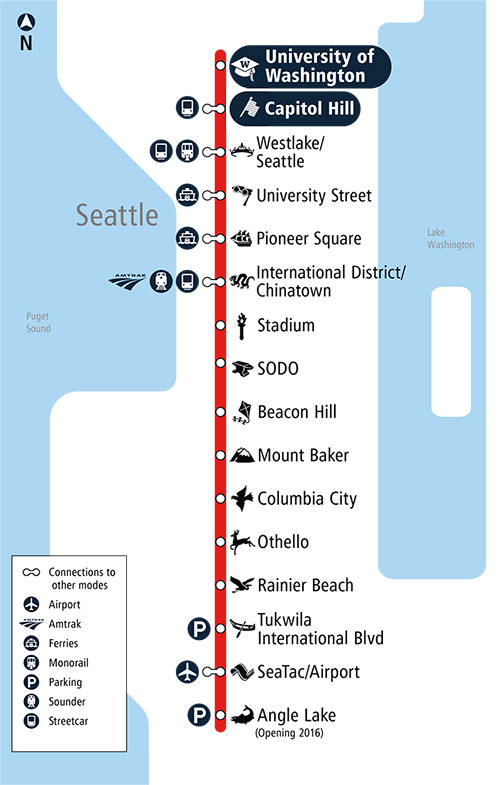 Some of the best news is that, from the stations, your ride will be congestion free from Downtown Seattle to SeaTac Airport! The underground UW Station is located next to the Husky Stadium and is setup to handle the huge Husky crowds. 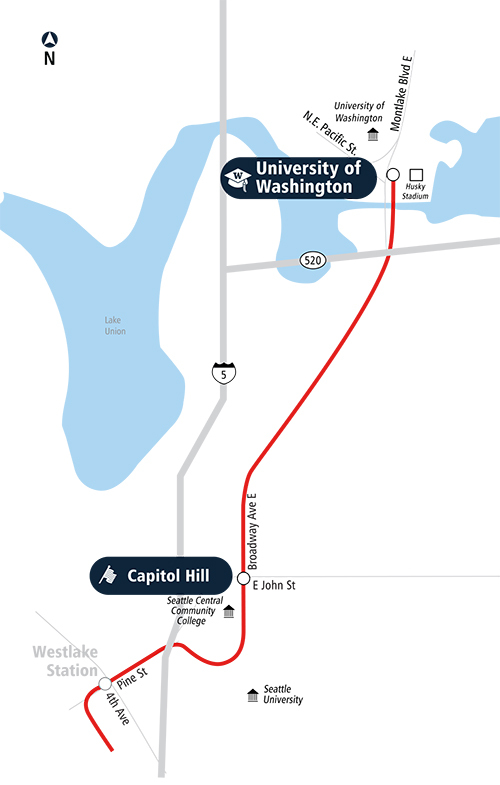 The UW station will have access to a new pedestrian bridge that will allow walkers and bikers to avoid traffic and keep them connected to the Burke-Gilman trail and UW’s upper campus. From this location, it is only 8 minutes to downtown and 46 minutes to SeaTac. Located on Broadway in Seattle is the trendy underground Capitol Hill station. 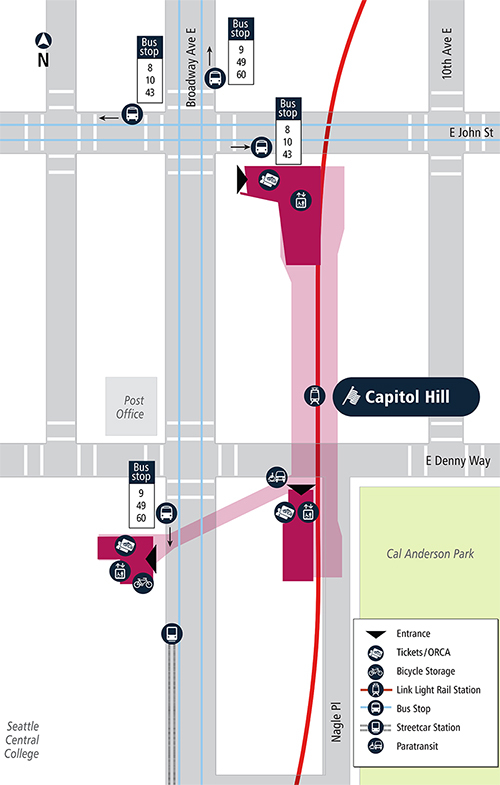 It has speedy escalators & elevators that connect to the platforms, streets, surrounding neighborhoods, business district, and Seattle Central College. 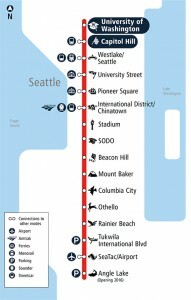 From here you can reach downtown in just 4 minutes and SeaTac in 42 minutes, and if you like, even connect to the First Hill Street Car.